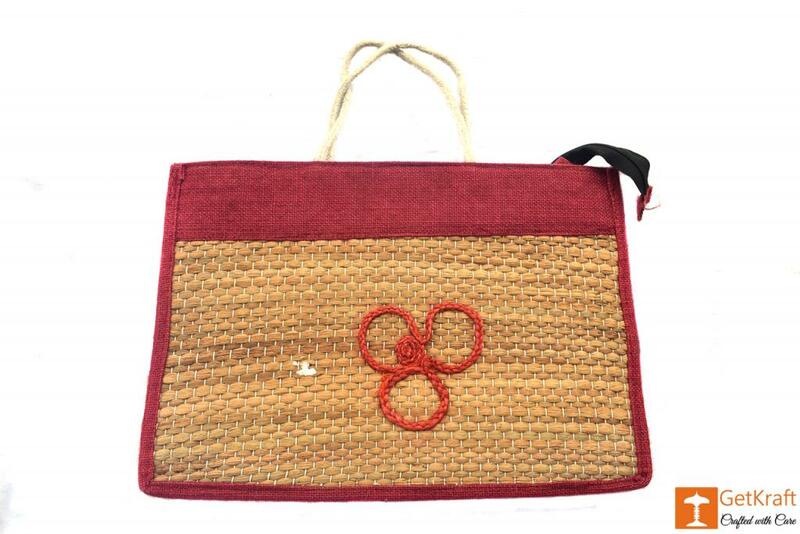 An eco-friendly and a unique bag made with Jute and Water Hyacinth to express a touch of Nature. We promise to deliver authentic and best quality products at best prices. The products are perfectly crafted out of the best of materials to ensure their long term use. It has got a zip closure to make sure your essentials are safe inside. 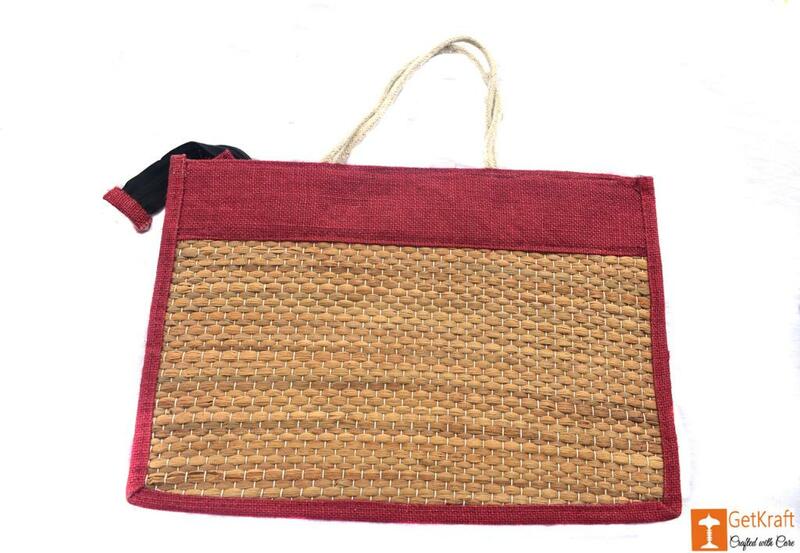 Ideal for grocery shopping or carrying your lunch box to your workplace.